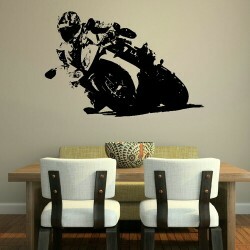 Bring the action and movement of motorsport into your home, with one or more of these unique and expertly crafted Motor Bike Wall Stickers. The latest manufacturing techniques, mean each sticker can be position and applied without the use of any glue or specialist equipment. The colour and design quality of each decal allows the user to obtain professional looking results, with no previous interior design experience. 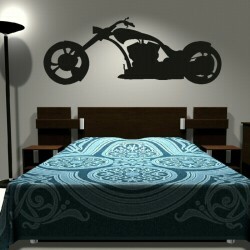 To transform the atmosphere of a room, use one or more of our motorbike decals in a planned composition, crafting your desired look to include colour and presence. Combine motorbike wall stickers with dark furniture and flooring to give an area of your home a gritty biker bar feel, or simply celebrate the beautiful form of these powerful machines, in a more minimalist style. Add some stateside flavour by referencing the most famous manufacturer in the motorcycling world, Harley Davidson. 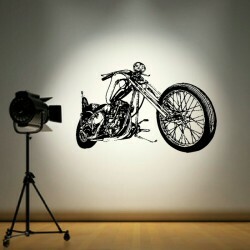 At wallstickersdecals.co.uk, we have two images of these iconic bikes for you to choose from. The first is a long silhouette depicting the classically retro Harley Davidson shape, the elongated design lends itself well to being placed above a bed, mantelpiece or workstation. There is also a more detailed decal of a Harley Chopper Motorbike, which boasts a 3D look, through the artist’s clever use of perspective. 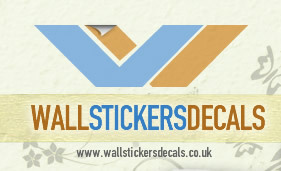 If home grown motorsport is more significant to you, try our Large Motorbike Wall Sticker. It shows a bike in action, taking a sharp corner. 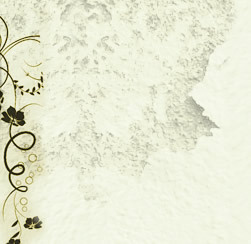 Bigger decals are a great choice if you have a large empty space to fill. Use bright colours to liven up darker areas and strategically highlight the best architectural features of your home. Our Boy on Scramble Bike decal shows a bike in flight, like all of our designs it is available in a range of sizes and colours. 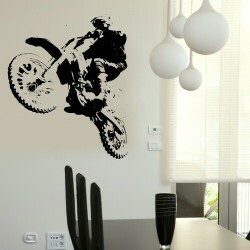 This wall sticker would suit any dirt bike aficionado, adding a contemporary egde to a space. It’s the perfect finishing touch, and lets others share in your passion for the sport, whether you are a rider or an enthusiastic fan. To create a theme with your interior design, try displaying your decal alongside showcased motorcycling memorabilia or contemporary awards and equipment. When decorating the room of a smaller motorbike enthusiast, why not explore the variety of sizes and colours that we have available, before making a final choice. Fire their imagination by mixing motorbike decals with a Giant BMX Wall Sticker or an image from our Cars range, creating a customised and dynamic environment. A more scaled down version of these heavyweight bikes may appeal to a younger child and they could even pick a colour themselves. Having an opportunity to put their personal stamp on a space is something all children relish, especially if they have recently relocated to a new room. Many riders already see their motorbike as an object worthy of attention and adoration. So take inspiration from your hobby, and use our wall decals to makeover your home in the space of one morning or afternoon.